EAST LANSING, MI —Michigan State University graduate assistants filled the lobby of the school’s Nisbet Building to grade papers on Thursday, in protest of the university’s rejections of several key contract proposals from ongoing negotiations. The rejected proposals affect international graduate students, a group that the union said faces several hurdles and disadvantages within the university like extra fees to attend MSU, unclear regulation standards, regulations of English-speaking evaluations to qualify for teaching positions and strict working guidelines for visas that may be violated by overworking. 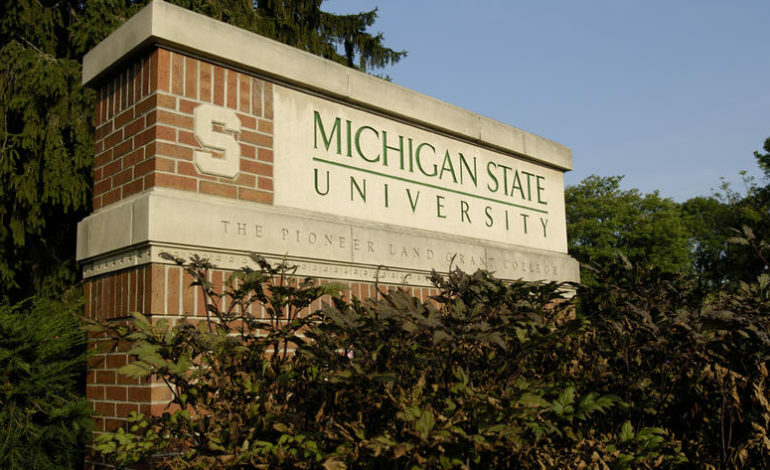 “What we’re most worried about is that the negligence and apathy of MSU administration toward issues of employee overwork is throwing international students under the bus and exposing them to extreme and unnecessary risks,” said GEU Chief Communications Officer Kevin Bird. The Graduate Employees Union represents more than 1,200 public employees at MSU.